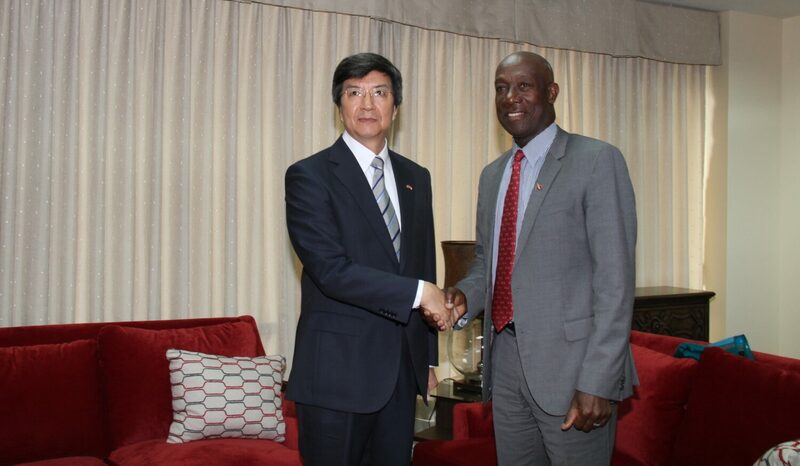 Prime Minister, Dr. the Honourable Keith Rowley met yesterday (Wednesday 22 March, 2017) with Song Yumin, Ambassador Extraordinary and Plenipotentiary of the People’s Republic of China to the Republic of Trinidad and Tobago. 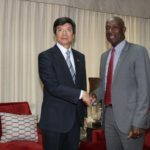 The meeting was also attended by Minister in the Office of the Prime Minister and Minister in the Office of the Attorney General and Legal Affairs, Stuart Young, Minister of Foreign and CARICOM Affairs, Dennis Moses and Lu Bing, Officer Political and Consular Affairs, People’s Republic of China to the Republic of Trinidad and Tobago. During the meeting the Prime Minister, the Ambassador and other officials discussed matters of mutual interest which included economic, trade and security matters. The Prime Minister also reaffirmed the Government’s commitment to strengthening its bilateral relationship with China for the mutual benefit of both countries.